We are in the midst of a global refugee crisis. Sixty five million people are fleeing for their lives. The choices are urgent, not just for them but for all of us. What can we possibly do to help? With compassion and clarity, David Miliband shows why we should care and how we can make a difference. He takes us from war zones in the Middle East to peaceful suburbs in America to explain the crisis and show what can be done, not just by governments with the power to change policy but by citizens with the urge to change lives. His innovative and practical call to action shows that the crisis need not overwhelm us. Miliband says this is a fight to uphold the best of human nature in the face of rhetoric and policy that humor the worst. He defends the international order built by western leaders out of the ashes of World War II, but says now is the time for reform. 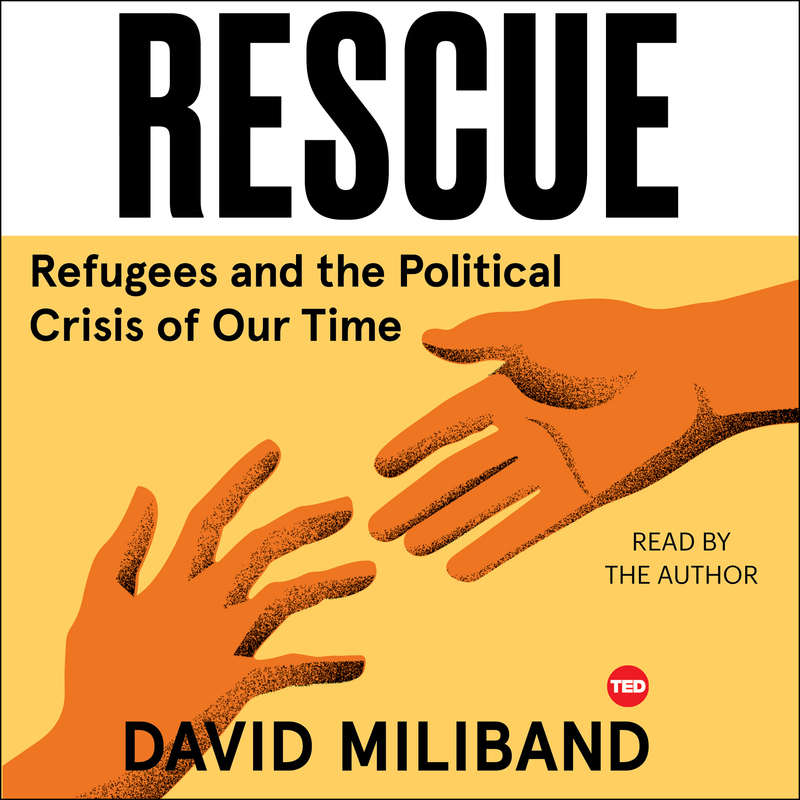 Describing his family story and drawing revealing lessons from his life in politics, David Miliband shows that if we fail refugees, then we betray our own history, values, and interests. The message is simple: rescue refugees and we rescue ourselves. David Miliband is President and CEO of the International Rescue Committee (IRC). From 2007 to 2010, Miliband was Secretary of State for Foreign Affairs of the United Kingdom, driving advancements in human rights and representing the UK throughout the world. Miliband graduated from Oxford University in 1987 with a first class honors degree in philosophy, politics, and economics and received a master’s degree in political science in 1989 from the Massachusetts Institute of Technology, which he attended as a Kennedy Scholar. President Bill Clinton’s called him, “one of the ablest, most creative public servants of our time.” Rescue is his first book.